Are you ubuntu users and blog writers who publish articles too frequently. publishing articles directly from the desktop in a few clicks may be easier than publishing article from the web interface. although in fact, Web interface has evolved into a much better. 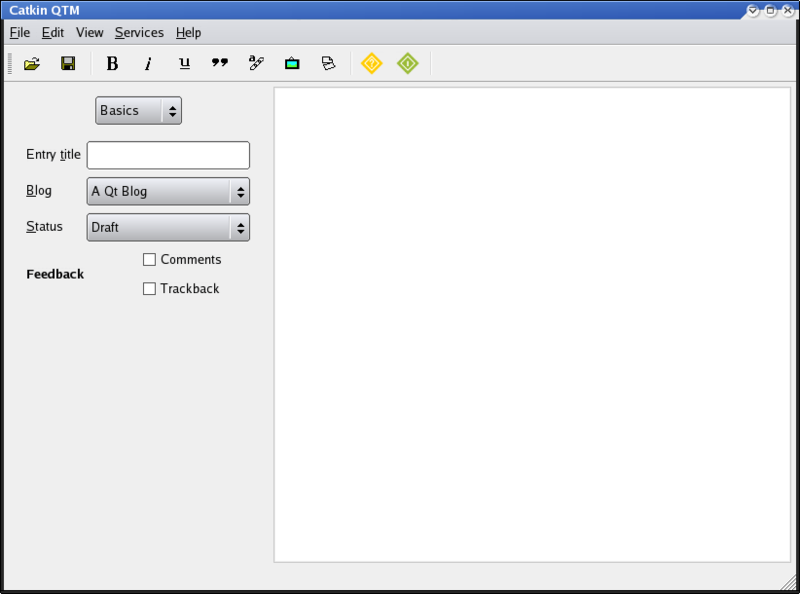 Blogilo is a KDE App blogging client and proud of it. 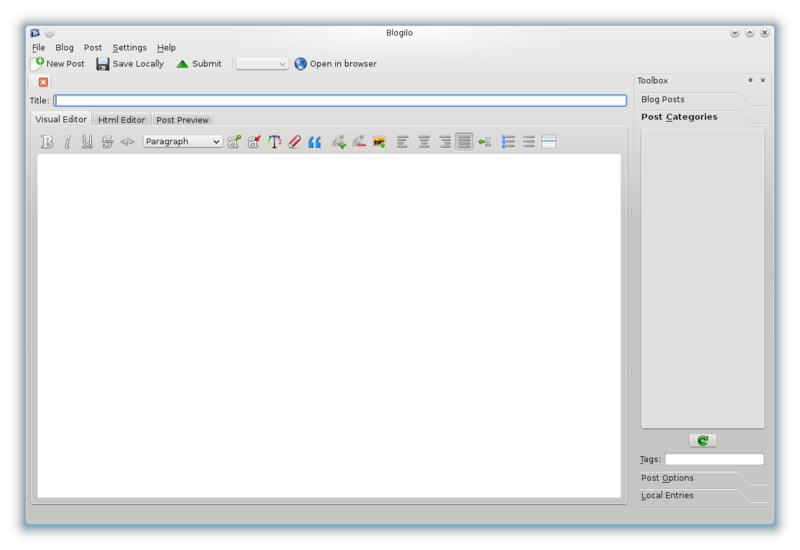 Although it will run happily in Gnome (see the image for the Ubuntu-eye view), it just looks better by default in KDE. 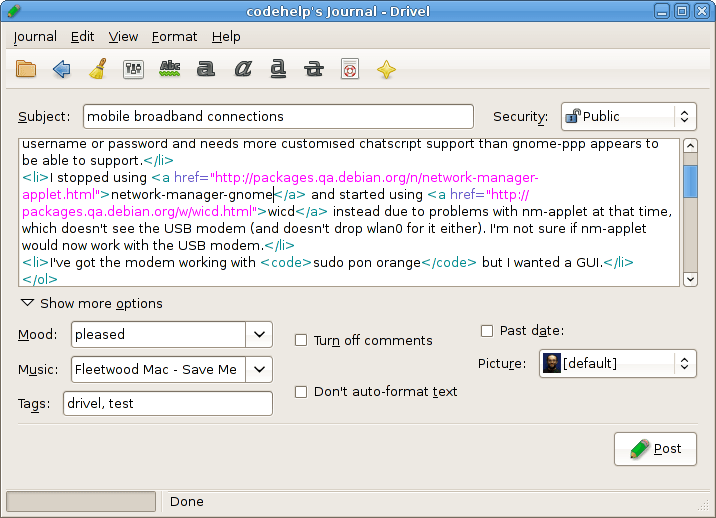 Drivel called (Drivel Journal Editor) is the kind of blogging client that Gnome blog aspires to be. Using the Gnome libraries, it’s a native Linux app (although it will run on other systems that support the Gnome desktop) that puts simplicity first. On first running the software, you’ll be challenged for your credentials and, naturally, the URL of your blog. This is where things can get a bit sticky if WordPress is your platform of choice, since it doesn’t appear on the list.